You have added Love and Lace Ivory Party Dress into shopping cart. 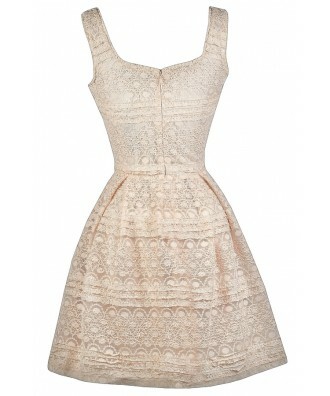 This might just be the perfect flirty ivory lace party dress! The Love and Lace Party Dress is fully lined and made of a gorgeous textured lace with matching sequins throughout the fabric that add a touch of sparkle to this look. 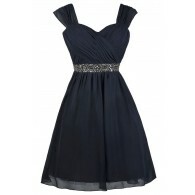 It has a square neckline, wide shoulder straps, an empire waist, and an A-line cut. An invisible layer of tulle under the skirt adds volume to this look. An invisible back zipper completes this dress. 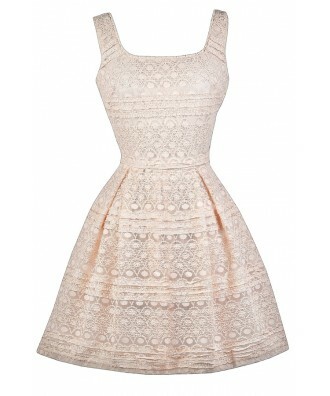 The Love and Lace Party Dress is the perfect option to wear to any party or event. Pair it with pumps or wedges and you're out the door! Another option is to wrap a fabric sash or belt around the waist for contrast to create a whole new look. Details: Fully lined. Hidden back zipper. 90% polyester, 10% nylon. Lining: 100% polyester. Hand wash cold water separately. Color will bleed. No bleach. Hang to dry. Small measurements: Length from top of shoulder to hemline: 34". Bust: 32". 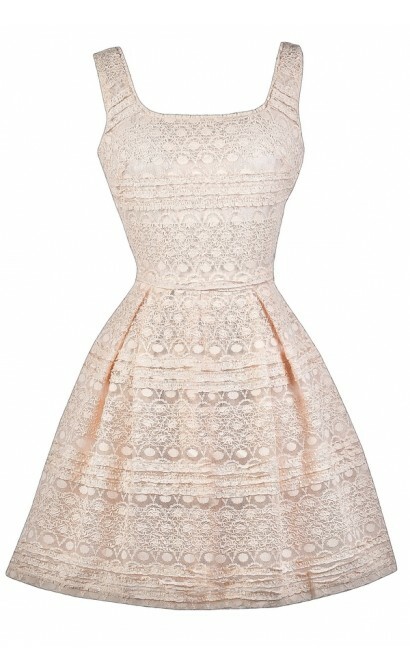 You have added Love and Lace Ivory Party Dress into Wishlist. You have added Love and Lace Ivory Party Dress for Stock Notification. 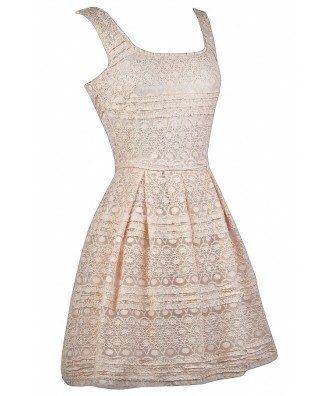 You have set Love and Lace Ivory Party Dress as a loved product. You have removed Love and Lace Ivory Party Dress as a loved product.